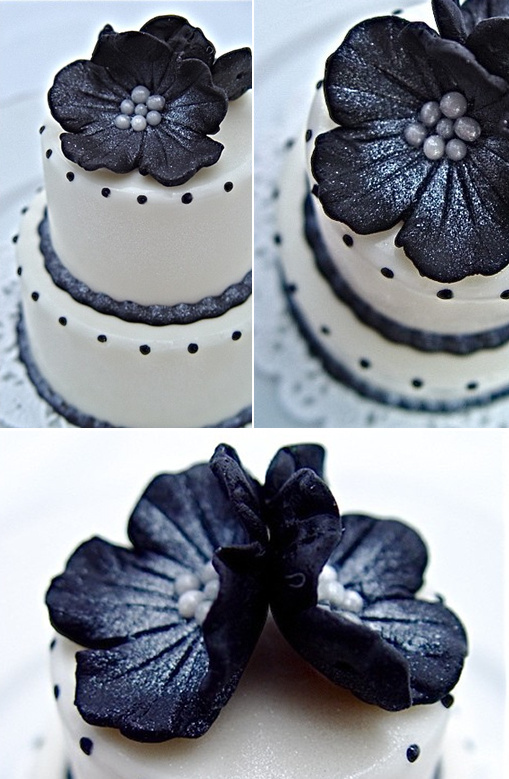 Lucinda from The Little Candycake sent us over her unique and customized approach to a wedding favor. 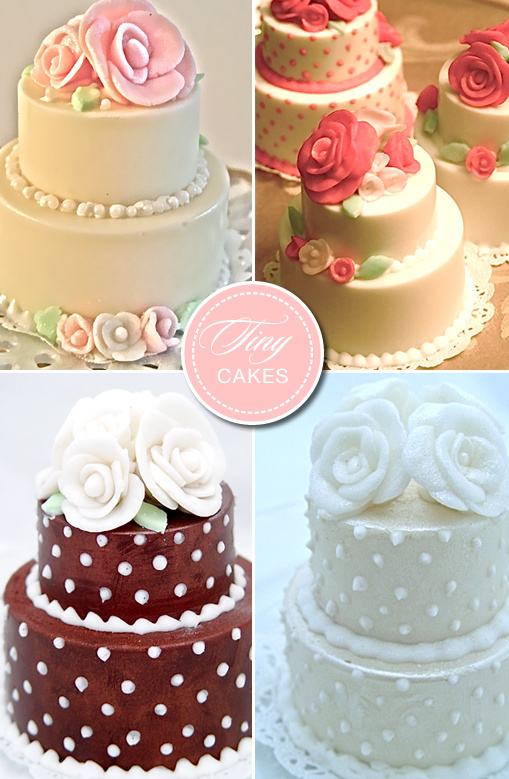 Each Tiny cakes is personalized for your event for each of your guests. They fit perfectly on a tea saucer and look like they are sinfully delicious. The detail work is lovely. You can purchase her cakes over at Etsy. I love the solid white chocolate mini cake that is below. Perfect for a black tie affair.